Over the past week volunteers from the Sandals Foundation have travelled to various schools and institutions to gift over children with 800 toys as part of much-anticipated annual Christmas Treats, which was this year tagged with the catchphrase “inspire joy with a toy.” Toy manufacturer Hasbro has once again partnered with the Foundation to donate toys not only to Antigua but to all the Caribbean islands where the Foundation operates, while Sandals Grande Antigua donated refreshments for the children. 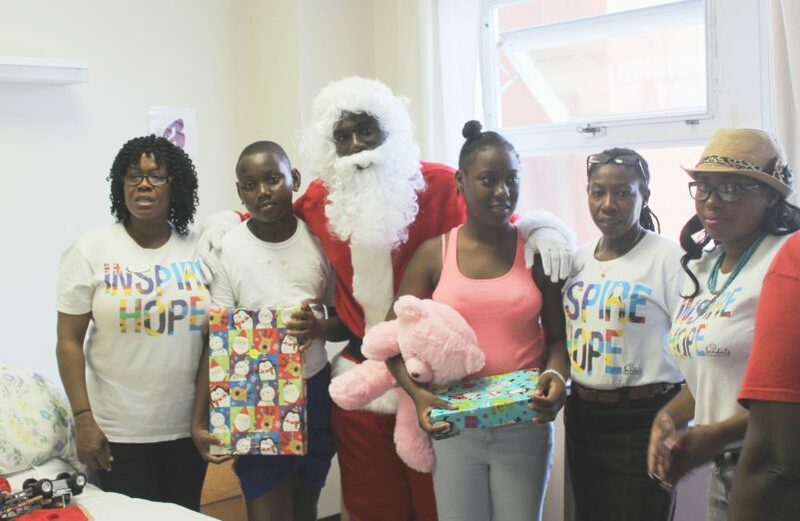 Volunteer employees from Sandals Grande were spreading cheer at Mount St John Medical Centre’s annual Children’s Christmas party where they also provided a Santa Claus. The gift-giving continued at the Cedar Grove and Villa primary schools and the Good Shepherd Home for Girls, all of which have a long-standing relationship with Sandals Resort. Also, for the second year-in-a-row Sandals Foundation also provided gifts to the Board of Guardians’ (within the Ministry of Social Transformation) Children’s Christmas party on Saturday.